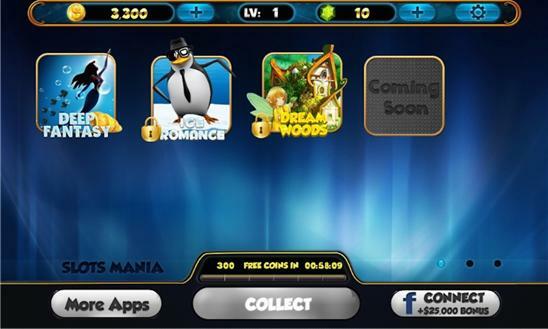 Slots Mania is the #1 virtual casino slot machines game! Play slot machine game any time, any where. NO INTERNET CONNECTION NEEDED TO PLAY!! Game Features: *** New AMAZING Themes added weekly *** Unlock great new Slot Machine with great Themes *** Grab FREE COINS every few minutes! *** Enjoy FREE spins *** Play on 5 reels with up to 50 lines *** NO INTERNET CONNECTION NEEDED TO PLAY!! Game Rules: - Wild symbol replaces any other symbol except scatter and bonus. - 3 or more bonus symbols on an active payline start the mini bonus game. 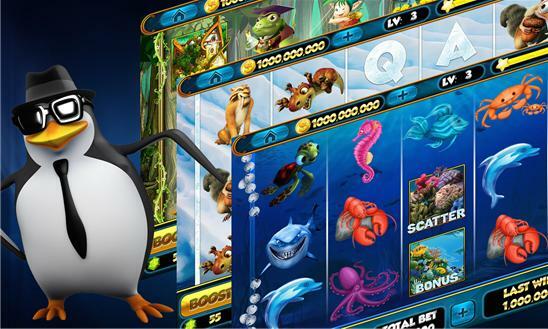 - 3 or more scatter symbols anywhere win free spins. - All symbols pay left to right except scatter and bonus. - Scatter and bonus wins are paid in addition to payline wins. - The highest win is paid on each payline. - The number of winning lines is multiplied by your bet amount.